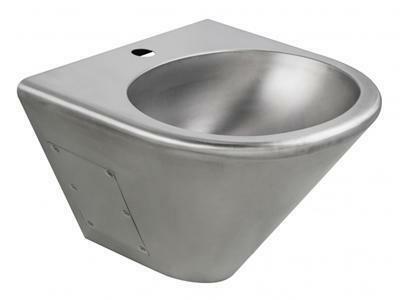 SER91003 Apron Stainless Steel Single Bowl Kitchen SinkThe SER91003 stainless steel single bowl kitchen sink can be used in houses, villas, hotel apartments and so on. 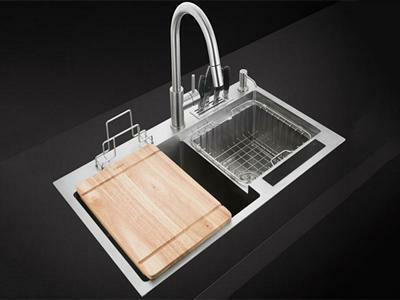 The apron front sink is handcrafted with a thick and durable edge. 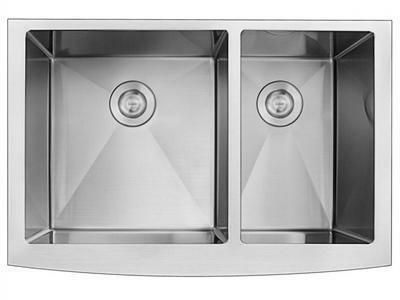 SER92003 Double Bowl Stainless Steel Kitchen SinkThe SER92003 double bowl stainless steel kitchen sink can be used in houses, villas, hotel apartments and other places. It is recommended that the minimum width of the kitchen countertop is 600mm. 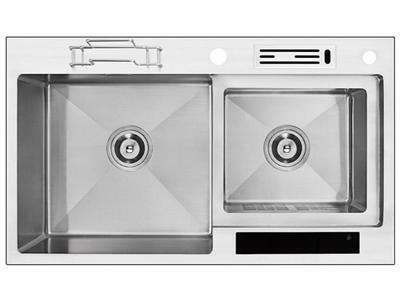 SER92005 Apron Double Bowl Stainless Steel SinkThe SER92005 apron double bowl stainless steel sink can be used in home, villas, hotel apartments and so on. 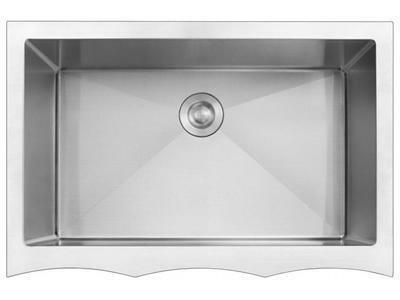 Adopting 1.2mm thick food-grade SUS304 stainless steel, the double bowl sink has a strong oxidation resistance and corrosion resistance and is safe to use. 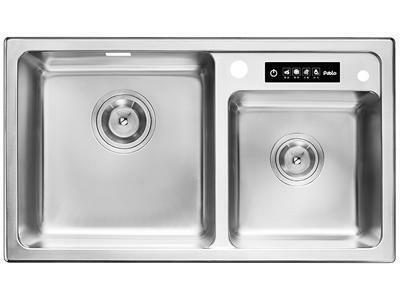 SER92006 Double Bowl Stainless Steel Kitchen Sink with CoverThe SER92006 double bowl stainless steel kitchen sink with cover can be used in kitchens for houses, villas, serviced apartments and so on. It is recommended that the minimum width of the kitchen countertop is 590mm. 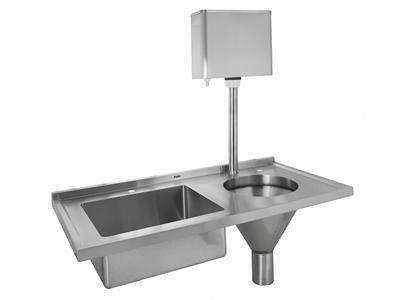 SER92007-W Rectangular Double Bowl Ion Cleaning Kitchen Sink with Knife HolderThe SER92007-W rectangular double bowl ion cleaning kitchen sink with knife holder can be used in family kitchens, cafes, serviced apartments and so on. It is recommended that the minimum width of the kitchen countertop is 530mm. 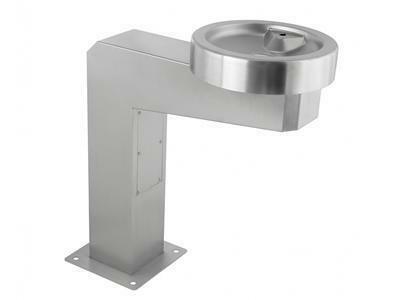 SER92008-W Ionic Water Cleaning Double Bowl Kitchen Sink with Soap DispenserThe SER92008-W ionic water cleaning double bowl kitchen sink with soap dispenser can be used in family kitchens, cafes, serviced apartments and so on. It is recommended that the minimum width of the kitchen countertop is 500mm. 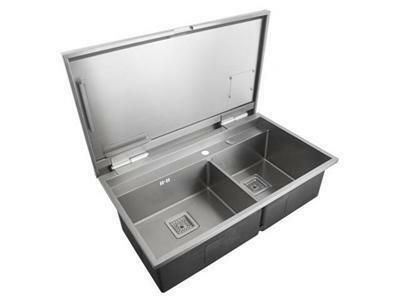 SER920EE-U Ultrasonic Cleaning Square Double Bowl Stainless Steel SinkThe SER920EE-U ultrasonic cleaning square double bowl stainless steel sink can be used in kitchens for houses, villas and so on. 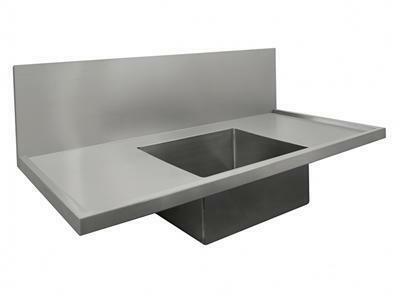 It is recommended that the minimum width of the kitchen countertop is 510mm. SER920CD-U Ultrasonic Cleaning Stainless Steel Double Bowl Kitchen SinkThe SER920CD-U ultrasonic cleaning stainless steel double bowl kitchen sink can be used in kitchens for houses, villas and so on. It is recommended that the minimum width of the kitchen countertop is 550mm. 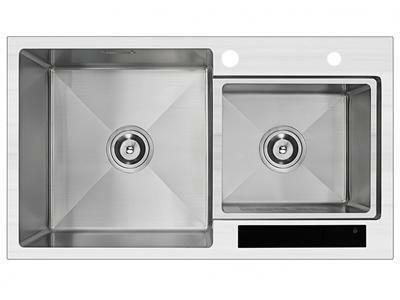 The seine series stainless steel kitchen sinks are handcrafted by our company Pablo. We make products by our heart and attract customers by our craftsmanship. 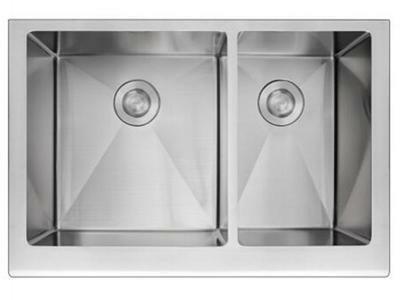 The kitchen sinks adopt high quality food-grade 304 stainless steel, with no lead is added. Our company Pablo adopts the international top-level deep drawing technology--Small Radius Technology to make the corner radius achieve R15 or R25 and maximize the space. Original manual technology is adopted to polish, weld, and make flange. The double bowl sinks design features a striking 'X' pattern drain groove on the bottom of the bowl which helps to remove water from the sink quickly.